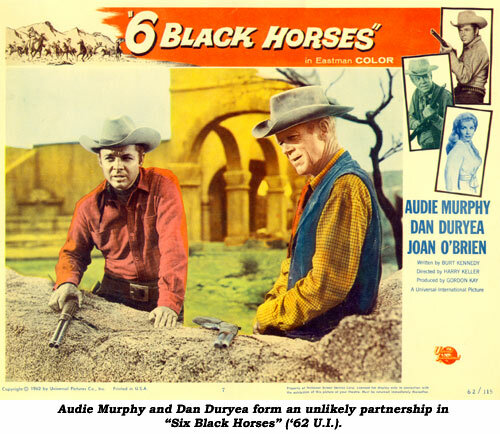 The sneering presence of Dan Duryea on screen indicated the female of the film was in for a rough time. Duryea himself once commented, “My fan mail goes up every time I tee off on a girl.” Duryea was also the screen’s number one “heel”, he’d doublecross a pal then brag about it. It was often the wry amusement with which Duryea viewed his own misdeeds that made him so enjoyable. Duryea used his trademark semi-deranged laugh—sometimes a cackle—to effectively project his sadistic badman image. 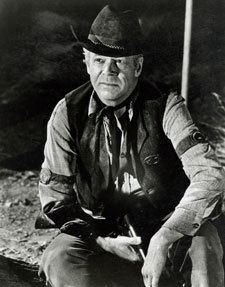 Duryea stated, “You can’t make a picture without a villain…it pays well and you last.” Constantly employed, in over 65 films and that many or more TV shows, he was usually the bad guy. That’s what his public expected of him. However, his 1952 TV series “China Smith” (revived in ‘54 as “New Adventures of China Smith”) saw him as an Irish soldier of fortune in, at first, the Far East, then San Francisco. 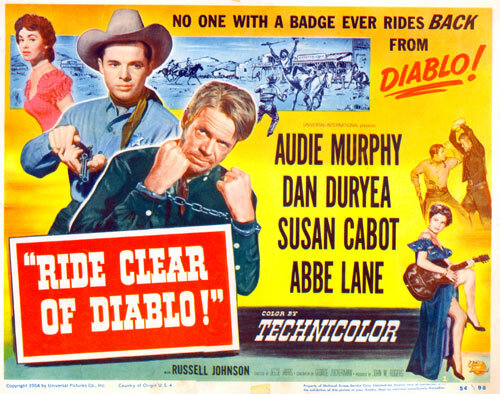 The real Dan Duryea could not be further from his evil screen persona. He was a model citizen and devout family man, married for 35 years to Helen Duryea who died in ‘67 of a heart ailment. They had two sons, Peter, born in ‘39 and Richard, born in ‘42. Those who knew Dan loved him and always remark on his wonderful sense of humor. He loved gardening and was a member of the PTA and was a scout master. The slim 6' 1" Duryea was born January 23, 1907, in White Plains, New York, to Richard Hewlett Duryea, a textile salesman, and his wife Mabel. Dan was a member of the drama club at White Plains High and majored in English at Cornell University. After graduation, Dan opted for the advertising profession. During his six years in advertising he met Helen Bryan and they were married April 15, 1932. It was a heart attack that derailed Dan from the hectic advertising world. Deciding now to pursue acting, after some summer stock jobs, he contacted old Cornell classmate Sidney Kingsley whose new play “Dead End” was about to be produced on Broadway. Dan obtained a bit part in the hit play which ran from October ‘35-June ’37. 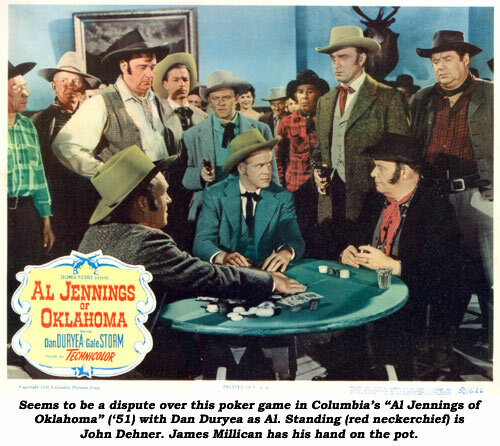 He was also in “Many Mansions” and played Bob Ford in the Jesse James play “Missouri Legend” on Broadway in ‘37 and ‘38. Then came the play that made him a star and took him to Hollywood, “The Little Foxes”, for which he got rave reviews playing the weasel-like nephew. 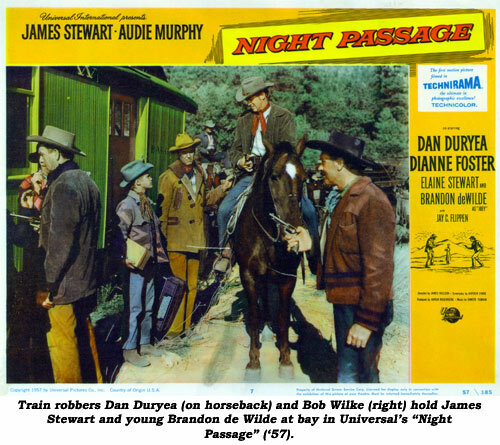 The play ran on Broadway from February ‘39 to February ‘40 and Dan transferred the part to the screen in ‘41. “That picture started me off on the road to Hell as a badman and ever since then I’ve been portraying the most hateful screen characters you can think of,” Duryea observed. With his slicked back blonde hair and malicious smile he became the premier louse of the movies, playing gangsters, pimps, cheats and doublecrossers in such films as “Mrs. Parkington” (‘44), “Woman In the Window” (‘44), “Scarlet Street” (‘45), “Valley of Decision” (‘45), “Johnny Stool Pigeon” (‘49), “Manhandled” (‘49) and “Criss Cross” (‘49). 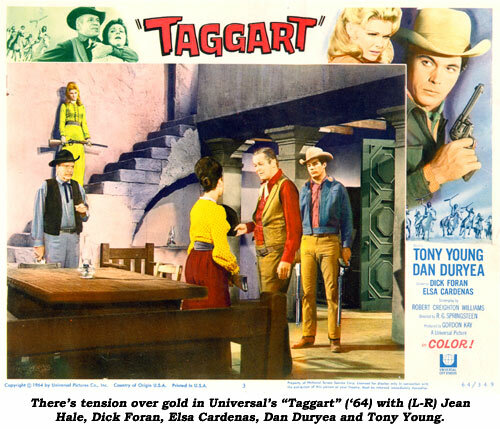 He first came to westerns by shooting Gary Cooper in “Along Came Jones” in ‘45. It would not be his last. At first, under a profitable contract to Universal for five years, he bought a home on Mulholland Drive, then moved to Lake Arrowhead where he built and raced speedboats. In 1948 his Universal contract was revised to where he would do one film a year for them for the next four years and be able to freelance at other studios. After his wife died, Dan underwent surgery for a malignancy but recovered enough to play villainous Eddie Jacks on TV’s “Peyton Place”. On June 7, 1968, he was found dead in his home, a victim of cancer. He left his estate to his sons while his movie memorabilia was donated to USC’s Library for Performing Arts. He is buried at Forest Lawn, Hollywood Hills.